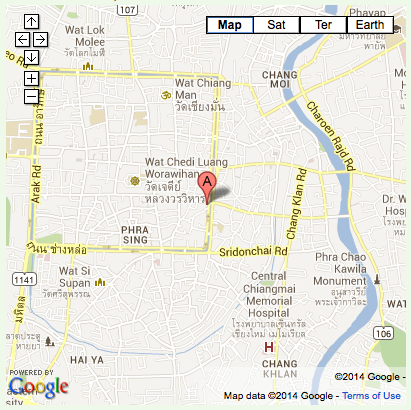 Sook Jai worked very hard in all of her life from street begging to tourist trekking elephant. At 73 years old, she is being completely blind and mostly deaf. She was in very poor condition with a lot of wounds on her head and her body as each time she was treated with violence. 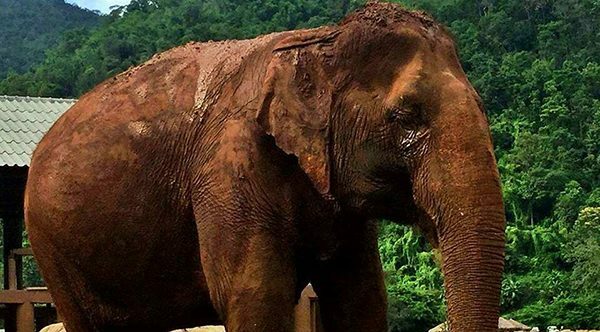 On 24th January this year, Elephant Nature Park’s rescue team went to pick her up from a location near Kanchanaburi province, west Thailand. On the ride, she looked very hungry but would not eat anything as the suspense was too much. Please watch out from the video, filmed while she was on the truck on the way to Elephant Nature Park. It is so incredible to see elephant is crying !! 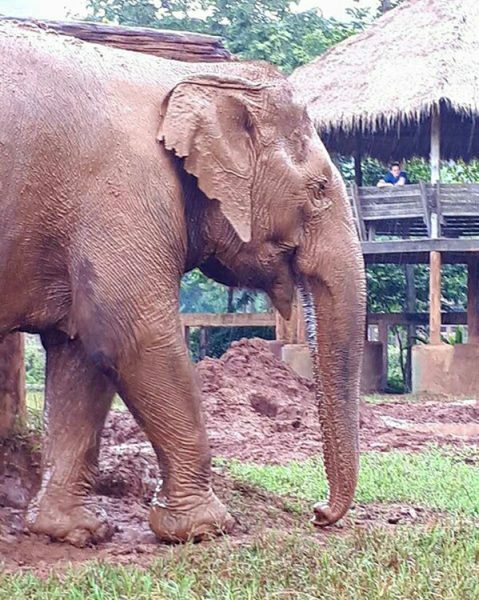 After 20 hours of journey, she arrived the park and took her first step to the sanctuary. Sook Jai was very easy to get off of the truck to her new home. She took a short time to find her friend. She loves to hang out with Di Por who got a leg injured. 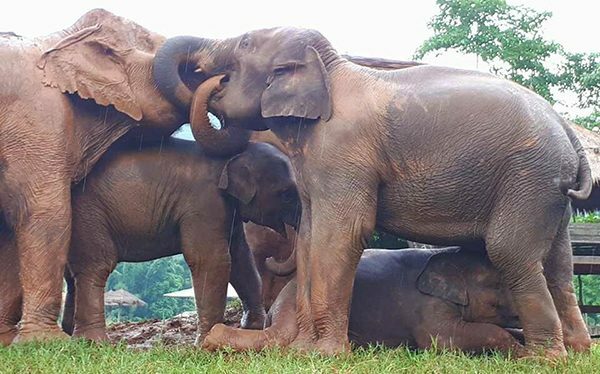 More than that when we have two new rescued baby elephants (Dok Gaew and Thong Ei ), Sook Jai follow them wherever they go and now she also play with Jenny, the young nanny of baby Thong Ei as well. 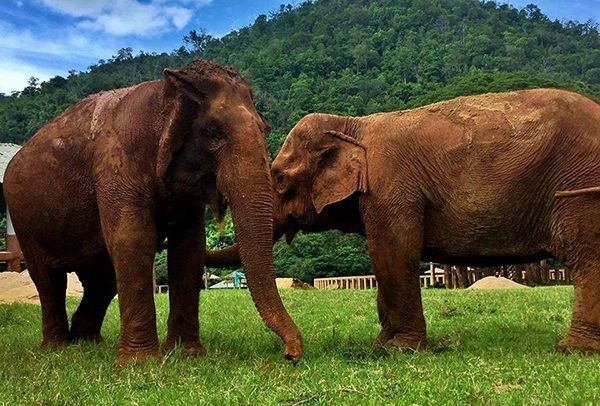 We are really glad to see the old elephant who experienced the hard life now can be able to enjoy living with the others happily. Love your work, your compassion, your approach. Times are desperate for animals and doing a lot is not enough. We have to criminalize animal killing, torture and abuse. We have to find ways to make protecting animals beneficial for all involved. All you wonderful groups working so hard to conserve animals need to find a way to coordinate efforts so your impact and reach is greater. For starters, I suggest sending your letter to President Trump to all major US newspapers and news stations/outlets to increase the impact of your message. God bless you and empower you to continue your work.